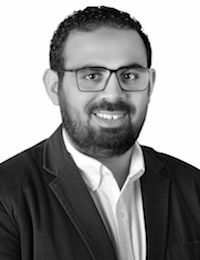 Abdeen is a Postdoctoral researcher in nZEB-RETROFIT group within MaREI, working on envelope design optimization, energy performance simulation, and renewable energy utilization. Currently, Aberdeen is a member of nZEB-RETROFIT group, working in the project titled, achieving nearly zero-energy buildings – A lifecycle assessment approach to retrofitting existing buildings, funded by Science Foundation Ireland (SFI). His duties include; Influence of building envelopes on indoor environments in low-energy buildings and deep retrofitting of existing building stock. Abdeen’s education was received in Egypt and Japan. In 2010, Abdeen started his career in academia just after graduation from the Faculty of Engineering at Assiut University, Egypt, where he was appointed as a lecturer assistant and started my first step in teaching and research. During his undergraduate studies, his passion for research has burgeoned especially in the field of the indoor environmental quality and building energy use with the ultimate aim of improving energy efficiency to meet the urgent challenge of sustainable energy supply. His PhD research agenda was to optimize the geometry of passive solar chimney in residential building to enhance the indoor comfort conditions concerning heating, cooling, and ventilation without resorting to mechanical appliances. Further information can be found in Abdeen’s LinkedIn. He is also available on Research Gate and Twitter.